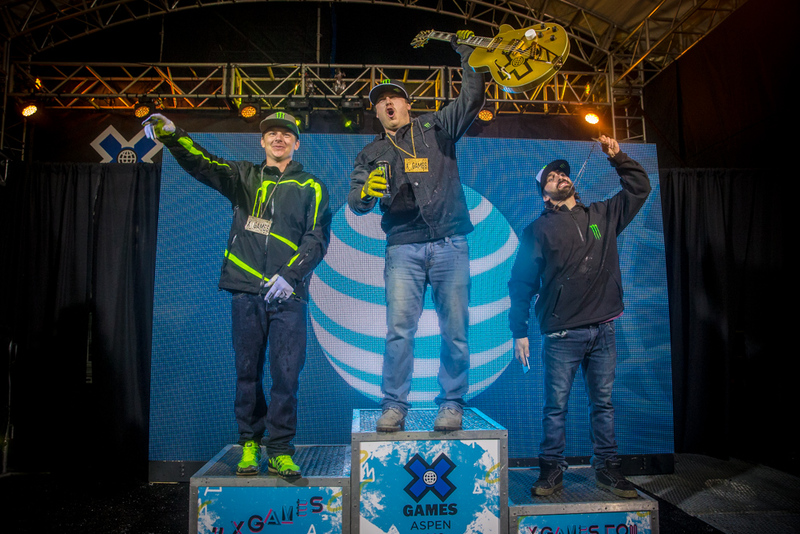 Monster Energy, the official energy drink partner of X Games, congratulates its athletes on an amazing four days of competition at X Games Aspen 2016. The team took a total of 13 medals (including 7 gold) across Snowboard, Ski, Snowmobile, and eSports disciplines. In Snowboard Big Air, Max Parrot made history and took the gold when he landed a Cab triple cork 1800, a spin never before seen in competition, then backed that up with an extremely difficult and stylish backside triple cork 1620 mute grab. 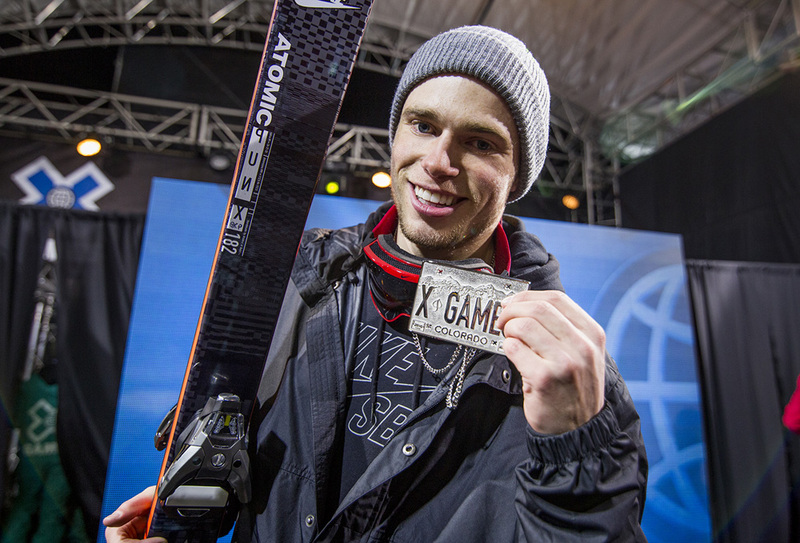 Overall, this is Parrot’s fifth X Games podium, including his two gold medals in 2014. Just last month Jamie Anderson broke her collarbone, and this weekend she rebounded to take the silver in Women’s Snowboard Slopestyle. Needing a big score on her third and final run, she switched it up and stomped a solid run, earning her 11th medal in 11 X Games appearances—quite a record indeed. 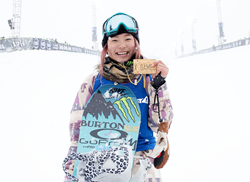 In Women’s Snowboard SuperPipe, Chloe Kim did it again, taking gold for the second straight year. And she did it in dominant fashion, chalking up a big score of 95.00 thanks to a run that included a big method on the first hit, perhaps the most stylish frontside 1080 tail grab seen in Women’s SuperPipe competition, and a solid ally-oop 540. 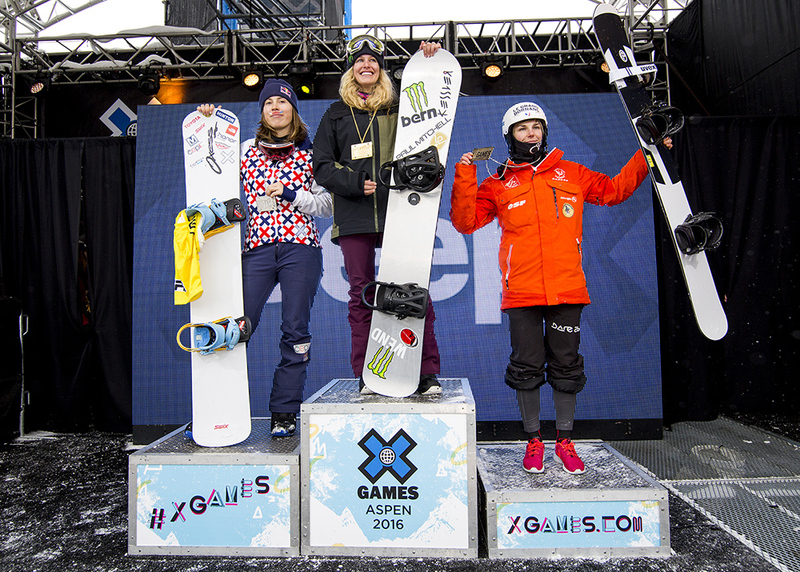 At 15-years old, she’s is the youngest X Games athlete to pull off back-to-back gold medals. 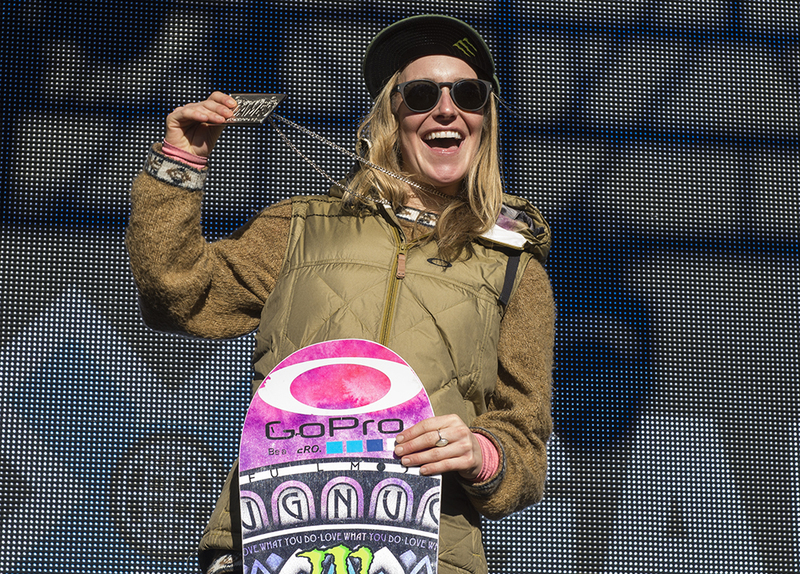 The dominance of Lindsay Jacobellis in recent years in Women’s Snowboarder X is undeniable, and this weekend she continued by taking another gold in the event. Overcoming a fresh blanket of 12-14 inches of snow overnight, she handled the last corner of the race beautifully to take the win in a photo finish. Jacobellis, who has dominated Women’s Snowboard X for over a decade, has now won twelve X Games medals including an astonishing 10 golds, seven of them in a row. In Men’s Ski Slopestyle, the Monster Energy team went one-two with Jossi Wells taking the gold and Gus Kenworthy the silver. For Wells, who’s last run included a switch double 1440 safety, this victory is extra sweet: appearing at X 10 times, he’s taken four silvers but never the gold. He said, “I’ve been trying for 10 years to get this bad boy. 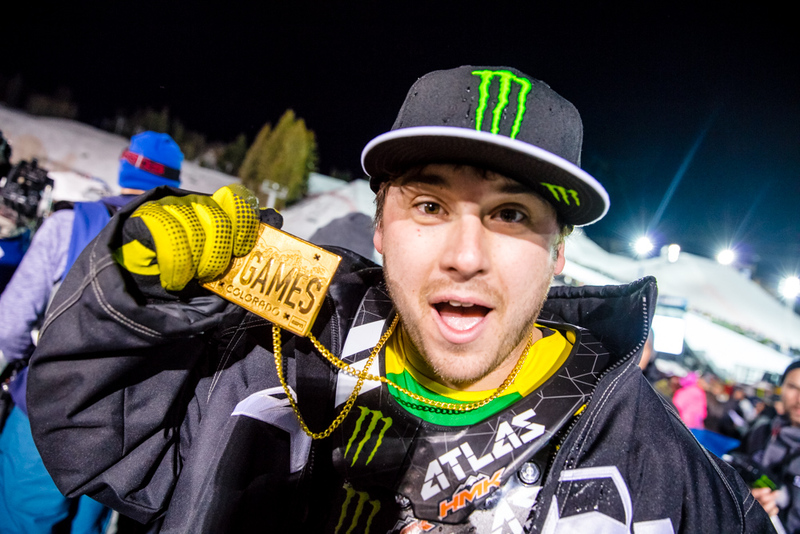 Growing up, my dream was to get an X Games medal. I’ve got some silver and bronze, but never that elusive gold.” And Kenworthy captured what became his second silver of the weekend with technical rail tricks and a stylish switch leftside double rodeo 1080 Japan. 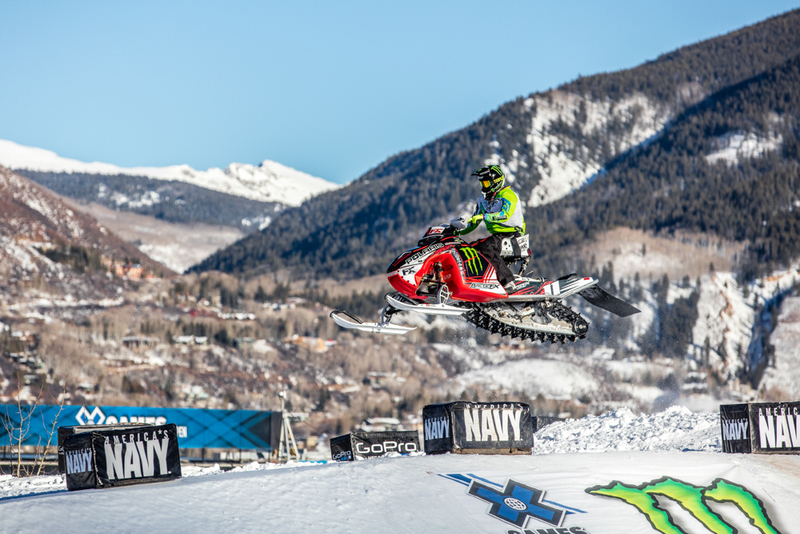 In Snowmobile Freestyle, the Monster Energy team swept the podium, with Joe Parsons taking gold, Heath Frisby silver, and Brett Turcotte bronze. Parsons and Frisby stuck to their runs and played it smart, bringing variety both rightside-up and upside-down, while Turcotte pinned the throttle and charged face around the course, earning a medal in his very first X appearance. Meanwhile their teammate, Cory Davis backed them with a solid fourth place finish meaning the four Monster Energy athletes in the finals took the top four spots. 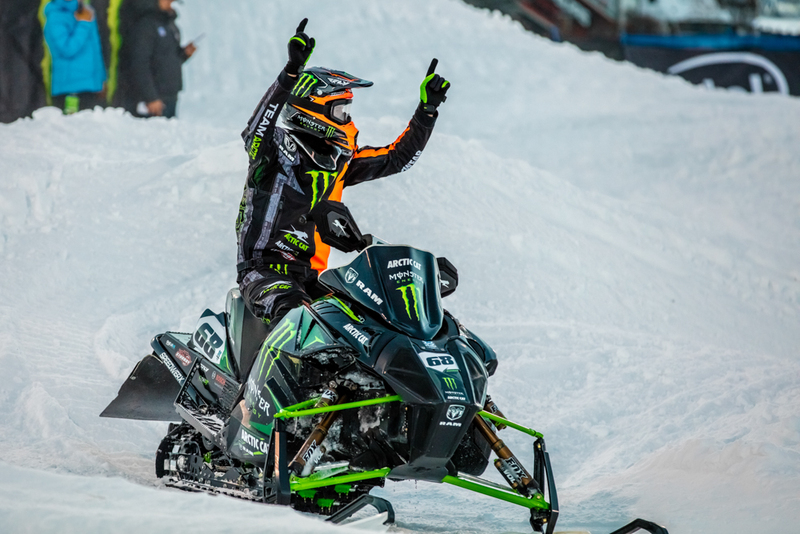 On top for a record nine years, dominance was once again the word to best describe Tucker Hibbert as he earned gold in Snowmobile SnoCross. It was all Hibbert all day as he easily won his semifinals race before owning the finals, bagging his record-setting ninth-straight gold in the event, and tenth gold overall. He’s now tied for the most consecutive golds in a single discipline, matching the record set by his Monster Energy teammate, Jamie Bestwick, who has nine golds in BMX Vert. On the eSports side of things, the Monster Energy sponsored Halo team, Evil Geniuses took home X Games Gold. Monster Energy ended the weekend in style by hosting a celebration party 11,000-feet high featuring music by young rap star Machine Gun Kelly to celebrate their snowboard, ski and snowmobile athletes and VIPs at the Little Nell in Aspen, CO. 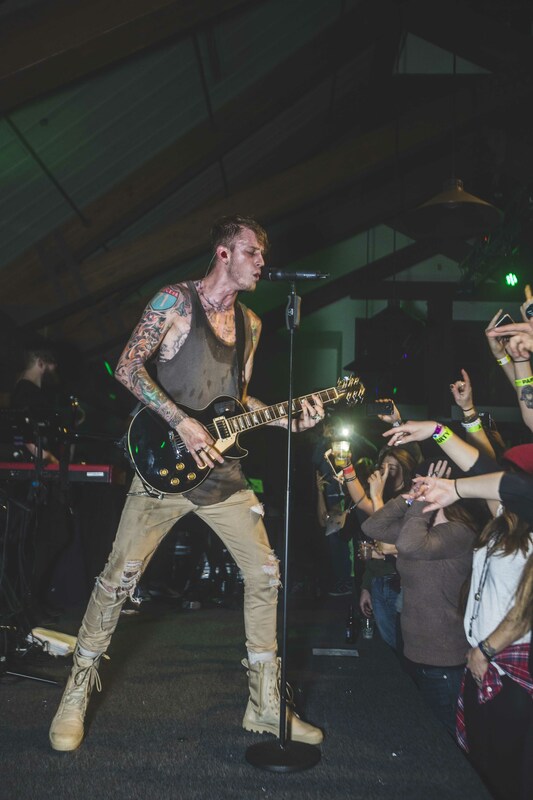 Guests took the gondola to an over-capacity crowd with Machine Gun Kelly bringing his high-energy punk-influenced hip-hop performance to another level. The Duffle Bag Divas, (gorgeous DJ twins), were also in the house to set off the evening. 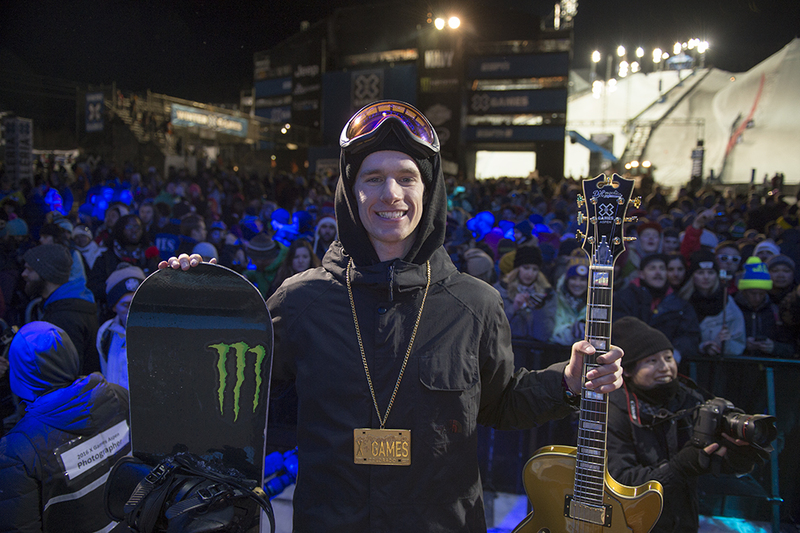 Throughout X Games Aspen 2016, monsterenergy.com and Monster Energy Facebook were updated constantly with exclusive photos, videos, and contest results as they happened—check it all out now to relive the action. Search #UnleashedAtX on Instagram and Twitter for exclusive behind-the-scenes looks in Aspen.